Overseas experience warns that a number of repeated and common errors occur in the aftermath of an event like Christchurch. The first is to believe that no one person can carry out a terrorist attack as devastating as the 15 March – alone. Masses of heavily-armed police are deployed in the impacted area – often to no practical effect whatsoever. Right wing attacks are usually carried out by isolated actors. Occasionally there are multiple actors coordinating a small number of attacks, but seldom is there any actual need for weeks of police patrolling carrying assault weapons. Where this has occurred it has not stopped follow-up attacks. Understandably, it is more a show of force to reassure the public that the state has the resources to combat terrorism – but to that end it simply serves to amplify the terrorist’s message that one insignificant individual can mobilise an army. A further error is to believe that the attacker represented anyone locally beyond himself. In peaceful societies, where terrorism is the sole mode of attack, lone actors generally do not. After 9/11 in the US, 7/7 in the UK and the host of ISIS-inspired attacks around the globe from 2013, it was all too common for those few violent extremist individuals or small cells to be considered as representing local Muslims. They didn’t then and they don’t now. In fact, ISIS-inspired attacks have killed far more Muslims globally than they have westerners. The Christchurch attacker does not represent New Zealanders – he is not a New Zealander. He does not represent white people, males, people who live in Dunedin, gym members, firearms license holders or even the owners of semi-automatic weapons. In his own manifesto he criticises the National Front as useless, ineffective and without a plan to do anything. His view of New Zealand gun owners is even less charitable – he clearly has no affinity with them as a group. Yet we have followed the same path as overseas, we have labelled, framed and forcibly grouped together people who may have little more than a few things in common with him. We do not have homogenous communities in New Zealand holding a single viewpoint – we have people within broader communities, individuals, culturally diverse, whose observance of religious tenets varies, and opinions differ – social and political views abound. Many have loosely-held views – some of which are prejudicial (racism is not the only form or prejudice in our society) – but none of these people are terrorists because of this. This process of labelling and framing has now begun with ‘right wing groups’ – white supremacists and white nationalists are assumed to be the same thing. But are they? How far left of this does normal political conservatism start? Then there is the ‘gun lobby’ – law abiding, licensed firearms owners who present no risk to us. Most post-event counter terrorist strategies react defensively to the ‘miss’ that has just occurred. The ‘watch-list’ – the standing breach of civil rights that has state security agencies watching individual potential threats – inevitably gets bigger. The dangerous needle in the haystack (or more accurately, in the needle-stack) is made harder to find by throwing more suspected needles onto the stack. In expanding the watch-list it becomes even less likely that security agencies will locate and isolate a new threat. If someone very similar to the Christchurch offender came into New Zealand tomorrow, he would likely still be missed. The next terrorist attack in New Zealand may be similar to the last, or it may be a revenge attack for what has just happened, it could come tomorrow – or in ten years. Whatever the case, 21st century terrorism is decentralised, individualistic, focused on abstract and unattainable goals – its perpetrators emerge from among us, and we will not necessarily see them coming. Their community is global, their support is a collection of anonymous posts or interactions from online echo chambers. The old school thinking that intelligence, police and defence establishments can protect us from all future threats is obsolete. Historically, they have never actually been able to do so and they are much less likely to do so now when the only connection between one terrorist and another is a nom-de-plume in cyber space. Adjusting our expectations around security – what it means and who protects it – is crucial from here on. We must remove our complacency, and change the assumptions we hold – that we are safe from terrorism in New Zealand and that the police and intelligence services will intercept threats that are there. Ordinary people will be the first to see evidence that someone like a Christchurch offender is developing, and everyone who ‘saw’ him either didn’t see him, didn’t listen to him, or chose not to. 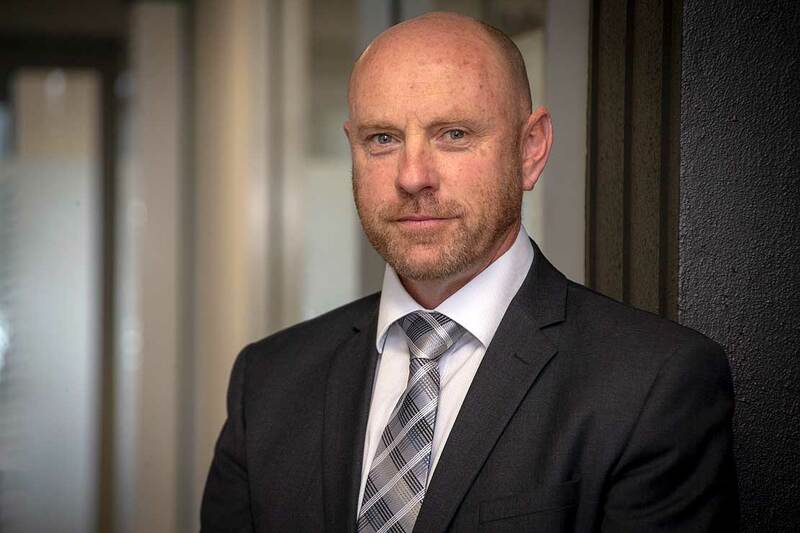 Dr John Battersby is a Teaching Fellow in the Centre for Defence and Security Studies at Massey University and a specialist on terrorism and counter-terrorism.